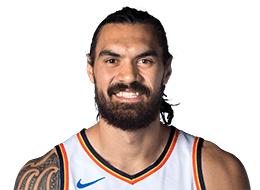 After a two-game road trip, the Wine & Gold are back at The Q to face their third Western Conference opponent of the season when the Oklahoma City Thunder come to town. Tipoff is set for 7:00 p.m. (ET). After falling to the Orlando Magic in their most recent game, 102-100, on Monday night, the Cavaliers are looking to snap a three-game dry spell come Wednesday evening at The Q. Cleveland will look to bolster its offense once again after another solid showing against Orlando. From where to catch all the action to Wednesday's game notes, Cavs.com has you covered. 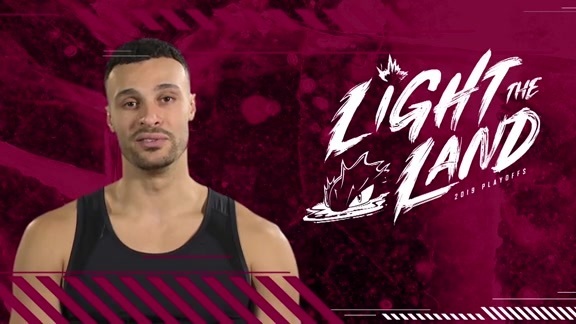 Learn more about Wednesday's matchup. 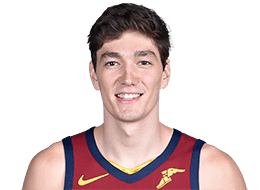 On Monday, the Cavs had at least six players score in double figures for the sixth time this season (Hill-22, Thompson-19, Clarkson-14, Smith-14, Hood-11, Osman-11). Cleveland also shot a season-high .512 (41-80) from the field, which included a .435 (10-23) mark from three-point territory. The Wine & Gold have had success on defense this season as well. Against Orlando, the Cavs set a new season low for opponent points allowed in a single period with 12 in the third quarter (previous 15 points in 1st Q by DEN on 11/1/18). From an individual perspective, a number of Cavaliers played well against the Magic. 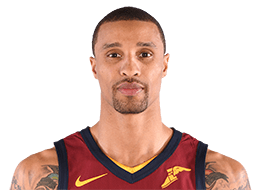 George Hill had a stretch of 11 consecutive points late in the fourth quarter on Monday (5:02-2:10) and finished with a season-high 22 points on 10-12 (.833) shooting. 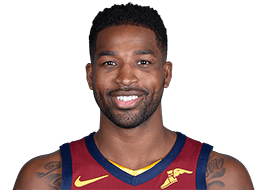 Tristan Thompson registered his third double-double of the season in Monday’s game, tallying season-highs in points (19, 9-12 FG) and rebounds (16), to go along with a season-high tying four assists. Jordan Clarkson added 14 points (5-10 FG, 3-6 3FG, 26 MIN), increasing his double-digit scoring streak to 10 games. Cleveland will look to rebound on Wednesday when they welcome a rejuvenated OKC squad into town. The Thunder have won five in a row after dropping their opening four to start the season. In the those five wins, they have outscored their opponents 122.4-110.8 and are hitting nearly half of their shots from the field (.498). They've also been solid from deep, averaging a .358 3FG% and averaging 9.1 treys a game. 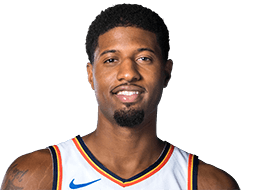 In their most recent game - a 122-116 victory over the New Orleans Pelicans - six Thunder players scored in double digits (Paul George-23, Dennis Schroder-22, Steven Adams-18, Russell Westbrook-17, Jerami Grant-13 and Patrick Patterson-10). 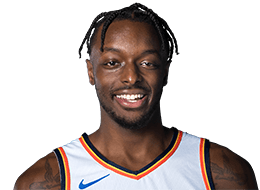 Going forward, OKC and Cleveland will meet one more time this season when they tipoff later this month at Chesapeake Energy Arena on November 28 in the Sooner State. 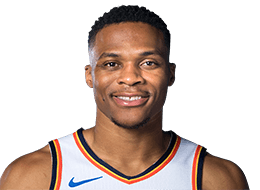 On Wednesday night, the Cavs will not only be looking for their second win of the season, but will try to continue their recent success over the Thunder, which dates back over the past three seasons. The Wine & Gold are 5-2 in the last seven games against the Thunder, which includes a 3-1 mark at The Q over that span. In those seven contests, Cleveland is averaging 112.4 points per game (.482 FG%, .389 3FG%). The last time these two teams faced off, the Cavs picked up a 120-112 victory at the Chesapeake Energy Arena on February 13. That night, Cleveland had a 51-20 advantage in points off the bench and received strong performances from JR Smith (18 pts), Jordan Clarkson (14 pts), Rodney Hood (14 pts) and Larry Nance Jr. (13 pts). 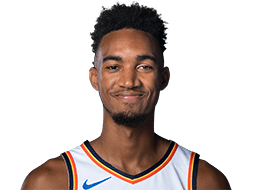 Cleveland also shot a combined 45-88 (.511) from the field in that game, including 16-36 (.444) from long distance, and had 24 assists (7 TOs), while holding the Thunder to a 40-90 (.444) clip from the field. Overall, the Wine & Gold hold a 12-7 advantage over the Thunder dating back to the team's relocation from Seattle. 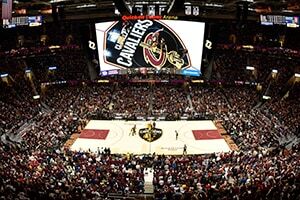 Beginning Wednesday night, Quicken Loans Arena doors will return to the regular schedule of opening 90 minutes before tipoff for Cavaliers games. For more information, CLICK HERE. Following Wednesday's date with the Thunder, the Wine & Gold will travel to the Windy City on Saturday to battle the Chicago Bulls at the United Center. 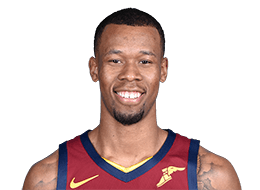 The Cavs will then return to The Q on Tuesday, November 13 to take on the Charlotte Hornets before hitting the road once the next day to face the Washington Wizards before heading to the Motor City to take on the Detroit Pistons on Monday, November 19. 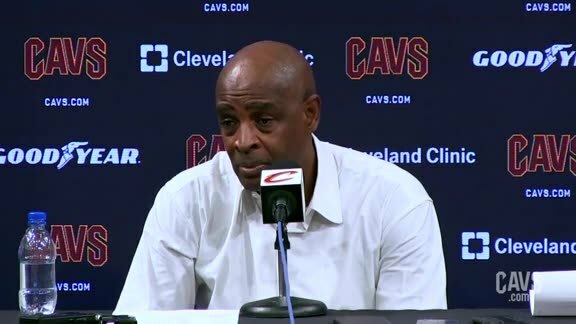 Cavaliers Head Coach Larry Drew spoke with the media following Wednesday’s loss to the Oklahoma City Thunder at Quicken Loans Arena. 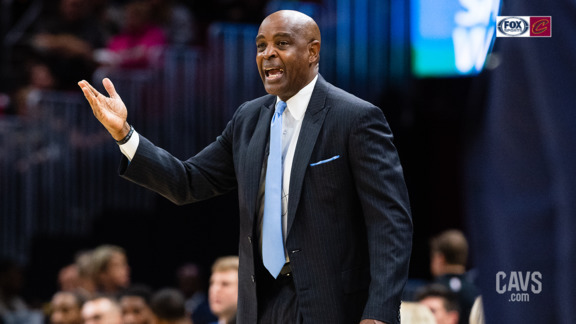 Listen in as FOX Sports Ohio mic'd up Cavaliers Head Coach Larry Drew during Wednesday's game against the Oklahoma City Thunder from Quicken Loans Arena. 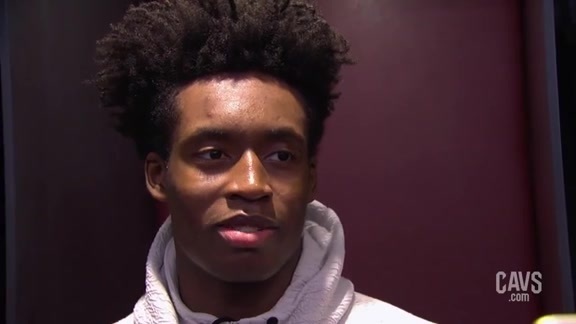 Cavaliers guard Collin Sexton spoke with the media following Wednesday’s loss to the Oklahoma City Thunder at Quicken Loans Arena. 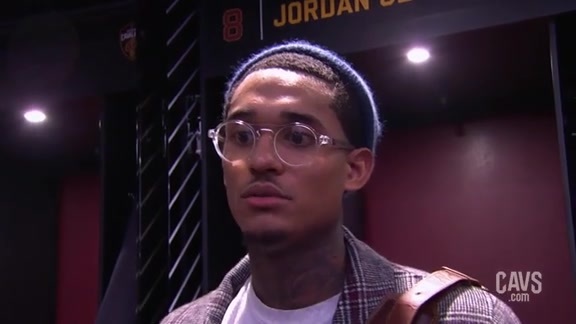 Cavaliers guard Jordan Clarkson spoke with the media following Wednesday’s loss to the Oklahoma City Thunder at Quicken Loans Arena. 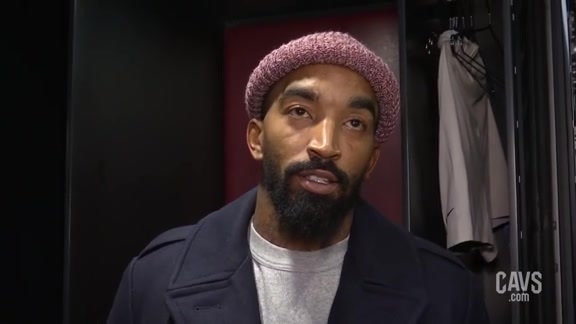 Cavaliers guard JR Smith spoke with the media following Wednesday’s loss to the Oklahoma City Thunder at Quicken Loans Arena. 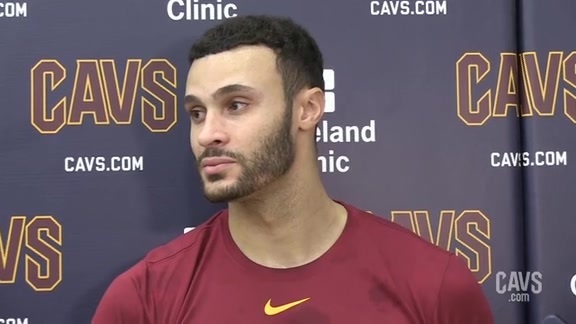 #CavsThunder Shootaround: Larry Nance Jr.
Cavaliers center Larry Nance Jr. spoke with the media following Wednesday's shootaround at Cleveland Clinic Courts as the Wine & Gold prep for the Oklahoma City Thunder. BE THE FIGHT! 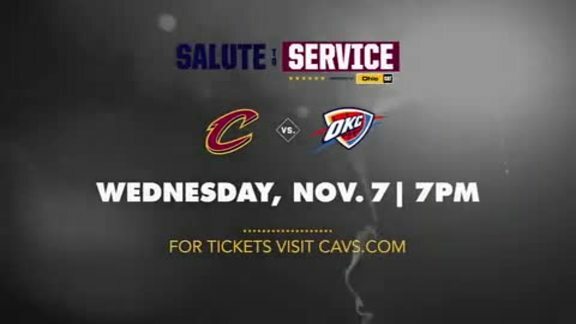 Join the Wine & Gold in their matchup against the Oklahoma City Thunder on Wednesday, November 7 for Salute to Service presented by Ohio CAT. Get tickets by visiting Cavs.com/tickets.